http://hoffnungswolke.booklikes.com Bookish thoughts!!! 5.0 Der Augenjäger!!! 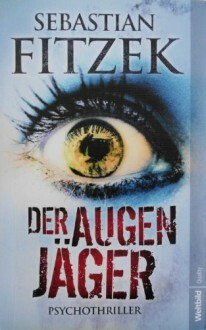 http://anjaheigl3.booklikes.com anjaheigl3 5.0 Genialer Psychothriller!!! Memo to self: don't listen to audio books just because you like the narrators voice.